The British ruled India for nearly 200 years. At that time, the British concept was articulated by Kipling, who in a poem spoke of the "white man burden". 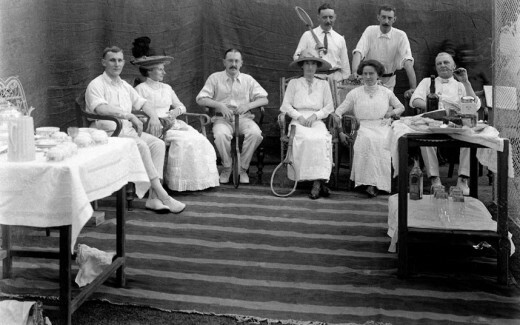 The British made themselves comfortable and established sinews of administration and communication to make it easier for them to rule India. Thus, the rail, the post, and the army were established. The most important of these was the army which was the lynchpin of the British rule in India. The British at that assumed they would rule India for at least another 500 years and all their plans were with that in mind. They did develop India, but the aim was to control India better which was the brightest Jewel in the crown of the Empire. Winston Churchill, when asked about the freedom of India replied that he had not become the first minister in the Kings cabinet to preside over the liquidation of the British Empire. This about sums up the British attitude. , Yet within 2 years of his defeat at the hustings after the end of World War II, the British packed their bags and left India for good. They administered a parting kick by dividing India into religious lines and created a State of Pakistan. The British were clever and allowed Gandhi and his civil disobedience movement to carry on. This was a ploy as they were aware that Gandhi's movement was harmless as he believed in non-violence. They were confident that Gandhi could be handled and they cleverly allowed him to run around the country, secure that he would not topple them. It should not be forgotten that in India the British did have a degree of support from the maharajas and the landed gentry who had benefitted from English rule. In the thirties of the last century, there was not even a whiff of air that the British would ever leave India. 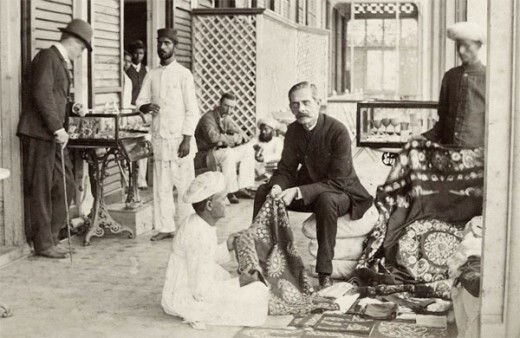 All plans by the British were in the fond belief that India would remain a British colony. 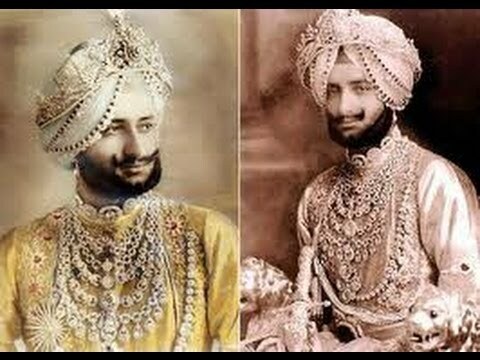 Even the First World War had no effect and the whole heart support of Indian princes and maharajahs as well as support from the Congress party allowed the English to not only win the war, but consolidate their rule over India. Gandhi was an enigma but the British had assessed him properly. He was a narcissist and he was loathed to rock the boat of British power in case it went against his principle of nonviolence. Thus, even when the revolutionary Bhagat Singh was awarded the death sentence and hanged in the middle of the night, Gandhi was silent and in a way acquiesced with the actions of the Raj. It is worth recounting that earlier Gandhi was awarded 3 medals by the British while in South Africa. The most notable being The Kaiser-i-Hind Medal , a medal awarded by the British monarch for exemplary service to the crown. One man, however, became a fly in the ointment and he was the firebrand leader Subhas Chandra Bose. He opposed Gandhi and defeated his nominee in the election to the post of Congress party President. Bose was more popular than Gandhi at that stage so Gandhi to consolidate his power started a non-cooperation movement against Bose and a disgusted Bose quit the Congress party. Bose was promptly arrested, but he escaped and made his way to Germany where he joined Hitler and the Axis powers. 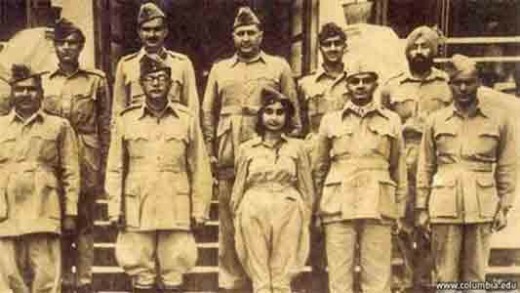 Later he was ferried in a German U-Boat to japan and there took command of the Azad Hind Fauj( Indian National Army). The formation of the INA from captured Indian POWs was a shock to the English and this more than anything unnerved them, as they now realized that the army their main source of controlling India was suspect. The end of the war saw an emaciated England devoid of resources. There were mutinies in the Indian Navy and army and the British just did not have the wherewithal to control India. They were also not sure about Bose, who many assumed had escaped to Russia and Stalin. The disaffection in the army fired by the charisma of Bose now became an anchor around the neck of the English. Churchill had been defeated and the new premier of the Labour Party decided to leave India. The fear of Bose and the suspect loyalty of the Indian armed forces forced the hands of Lord Attlee. 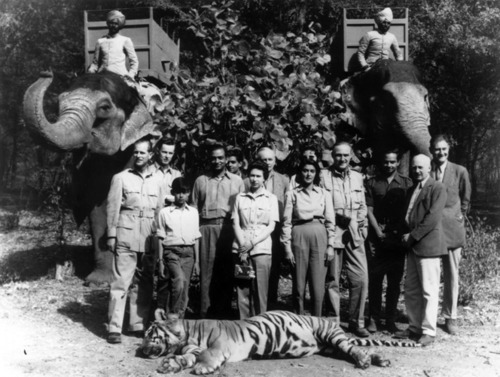 He decided to leave India gracefully, though many maharajahs implored him to stay on. In real effect, the victory over Hitler was a pyrrhic victory and it resulted in England being drained as well as releasing forces like disaffection in the British Indian army.The Royal Indian Navy Mutiny in 1945 end was another nail in the coffin of the Raj. Gandhi and the Congress were surprised at the British decision to quit India. But in no time, Gandhi donned the garb of having won freedom from India. He conveniently forgot he had been agitating for 3 decades without any result, yet his followers began to tout thatGandhii had expelled the English from India. The British as a parting kick divided India into two states by creation of Pakistan. This demand had been non existent just 2 years back.History has an uncanny habit of levelling the odds and after the exit from India the British are on a downward spiral. The British Empire broke and there is agood chance that the United Kingdom may also break. Who knows what will happen, but the eclipse of England began after they were forced to exit India. Dear Lawrence, Yes the Gurkhas were loyal but the Indian army had tens of battalions of other communities like the Jats, Rajputs and Sikhs and they were suspect. You're right about the Pyrrhic victory! Maybe Churchill didn't realize what victory over Hitler would cost! One thing I do know is he was an ardent Zionist and even if he knew the cost he wouldn't have flinched and would have steered the same course! As for the indian Army being 'suspect' I think they more than proved their loyalty and worth that the British kept three Battalions of Gurkhas who are still the most respected units in the British Armed Forces! Thank you, Lawrence, for your comment. However, I must state that there was no agreement to grant independence to India after the war. In fact, Sir Winston Churchill stated on becoming PM, that he had not become the first minister in the Kings cabinet to preside over the liquidation of the British empire. The fact is the pyrrhic victory over Hitler drained the British and when Bose appeared and the mercenary Indian army became suspect, the British wise as ever under Attlee beat a retreat. Are you aware that part of the deal for India's support in ww2 was independence that Britain agreed to before India entered the war. From the outset the agreement was if India was to join the Allies she would gain independence. From what I've read it wasn't Britain 'kicking india' with partition but sheer frustration at not being able to work out a way for the groups to live together! There is an idea that Britain went to India to 'conquer' it and take the riches, but that was why the 'corporates' went (But h and English east India companies!) Eventually they realized they couldn't stop the fighting between the factions and the British Army stepped in but always with the proviso that India pay for it, Britain had a policy that any colony requiring troops had to pay for them, that is part of how they were able to wind up the Empire without crippling debt, they simply stopped paying the wages and the newly independent carried on paying what they were doing all along! Sorry if I seem to be disagreeing at points but it's how things are seen from the British point of view. Thank you Karen for commenting. Very interesting. I learned a lot from this article. Thanks for sharing this information with us. I heard from grand parents that Roosevelt was pressing England to leave India and WWII was a factor in India's freedom. We have cronies and flatterers in plenty so they can show any personality to height. Thank you Lions. Gandhi has lost much of his sheen in India now as people realize the real facts of Gandhi. In contrast Bose star is on the ascendent and the general feeling is that in case Bose had been around, all the present problems would have been taken care off. What is the general feeling towards Gandhi throughout India today? Is it drawn along generational lines? Castes? Just curious. Is Bose admired today? Also, the United States played a role in letting the British know that they would not support the UK in their attempt to regain control over their empire, particularly in India. There was not much we could do overtly to stop them. But George Marshall told them that American forces would not assist in putting down mutinies, etc.